Terry is passionate about service and helping his clients find the right home in the right neighbourhood. 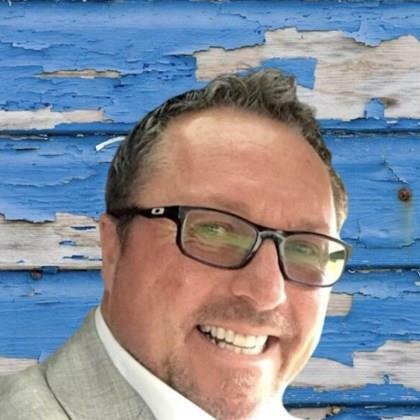 For over 18 years, Terry has been a valuable member of The Bagogloo Team - RE/MAX Nova, and he has helped hundreds of families take the exciting plunge into home ownership. His experience instils confidence in his clients and works to get them the best homes possible. Born and raised on Cape Breton Island here in Nova Scotia, Terry attended Riverview High School and furthered his education at Cape Breton University. Terry spent several years proudly serving the Canadian Forces with The Nova Scotian Highlanders infantry division. During his military service, along with his regular duties, Terry was selected as one of the Top Marksmen for The Royal Canadian Rifle Team. In addition to his military service, Terry has spent time in the private sector, and his professional career includes time in retail management with Metropolitan Stores Ltd. in Sydney and Windsor Nova Scotia and Toys "R" Us in Dartmouth. When he's not helping his clients buy or sell a home, Terry enjoys an active lifestyle, spending time with Gracie his Newfoundland dog and by hitting the open road on his ZX 14 sports bike. Through the efforts of RE/MAX, Terry is a proud sponsor of The IWK Children's Wish Foundation and The Canadian Breast Cancer Society.
" Thank you Terry, for all your time, energy and enthusiasm in finding us such a beautiful home. We really appreciate your patience and willingness to explain the process to us. You can bet that you will be our first call when Rob gets his next posting. We will highly recommend you to anyone looking for a great realtor." "Terry we would like to thank you for all your help during our recent house purchase. We felt that you really understood what we were looking for and advised us accordingly at all times. We were impressed by your knowledge of the properties that you showed us and the way that you pointed out features or problems which we (being from England) would not know about. The walk through and closing was taken charge of by you and you also undertook to iron out any small problems which arose so that your service was above and beyond what I would have expected. I would not hesitate to recommend The Bagogloo Team to anyone who is proposing to buy or sell a home." Well it’s been 2 ½ months since we have moved into our home and none of it would have been possible had it not been for “your team”. The dedication and effort showed by all of you was “top quality.” We would highly recommend “your team” to friends and family should the need arise! When Tony arrived in the area in June, he contacted Terry Campbell along with to other “well known” realtors from Dartmouth. Terry was the only one who remained in constant contact with Tony. We never did hear back from the other two. Their loss! Terry went out of his way – day or night – to assist us with finding the “perfect home”. This was the first “house hunting” trip that was “stress” free and we owe our complete gratitude to Terry and The Bagogloo Team! You may definitely use our names for references to future clients. You had a client, but we feel you’re our friends. Willis talks constantly about you both (Thomas and Terry). You have our vote if we have anyone that is either buying or selling. They’ll be shown your way. You’ve made friends forever.